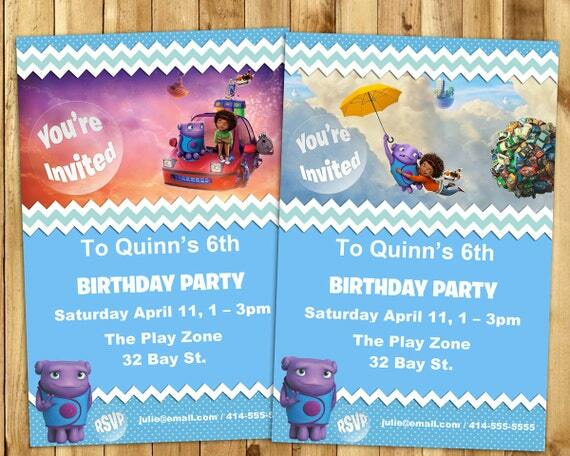 We are so excited to feature Etsy shop Instant Birthday and their downloadable themed party printables – Birthday Banners, Cupcake toppers, Chocolate Bar wrappers, DIY centrepieces, Invitations and more! Keep reading to learn more and get a special discount code. I asked shop owner Matt how he began creating the party printables. The fun started when Matt recently created a Super Mario Themed Birthday for his son Liam. After he spent all the time downloading, organizing and doing graphic design for this party, Matt posted the items on Etsy and has been getting requests for other banners etc ever since. In fact, Instant Birthday has over 1,200 sales since December 2014! 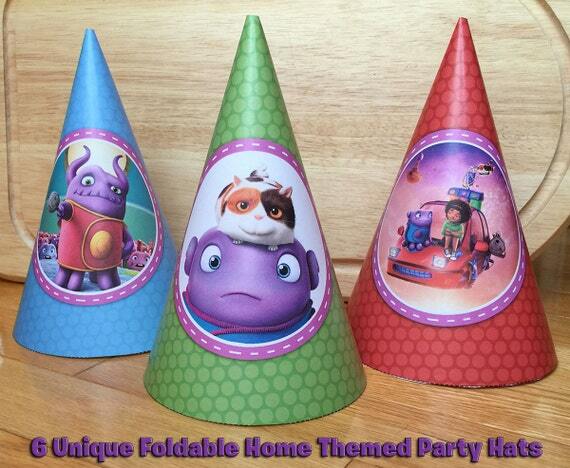 I pride myself on customer service, creating high quality items that can be instantly downloaded, and easily customized by parents all of the world hoping to throw their children a fun party. This seems to be the reason that Instant Birthday has done so well. Not surprisingly, Instant Birthday has an average 5 Star rating (from 100+ reviewers). Love these cake toppers! Good size and great color! Fast delivery too! 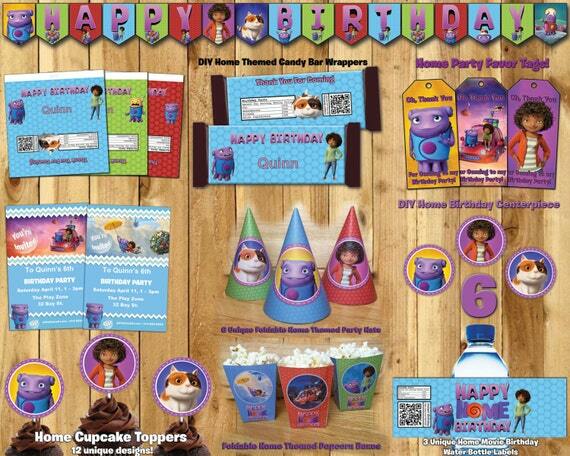 Instant Birthday has themed party goods such as Big Hero 6, Frozen, Skylanders, My Little Pony and more. 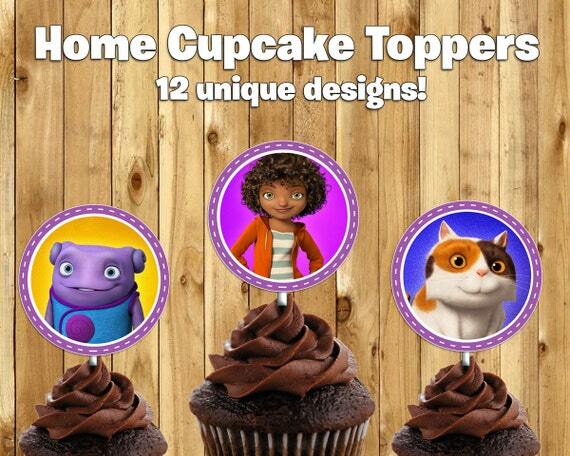 Matt will also customize an order for a specified theme. 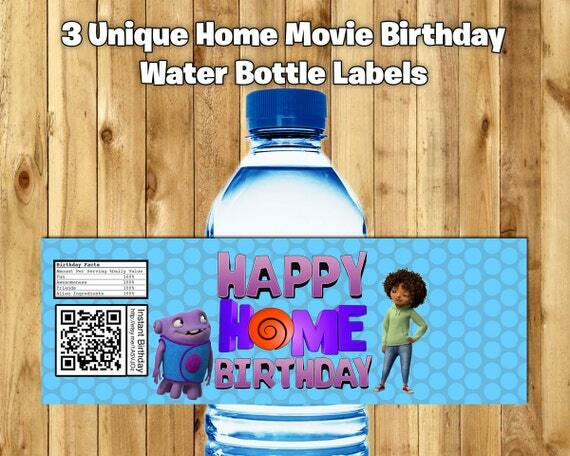 With the recent release of the Dreamworks movie ‘Home’, shop owner Matt created new downloadable party decor for a ‘Home’ themed party. The movie features a misfit alien named Oh, who crash lands on Earth and forms a friendship with an untrusting girl named Tip. Together they set out on a global road trip while on the run from Oh’s own alien species. 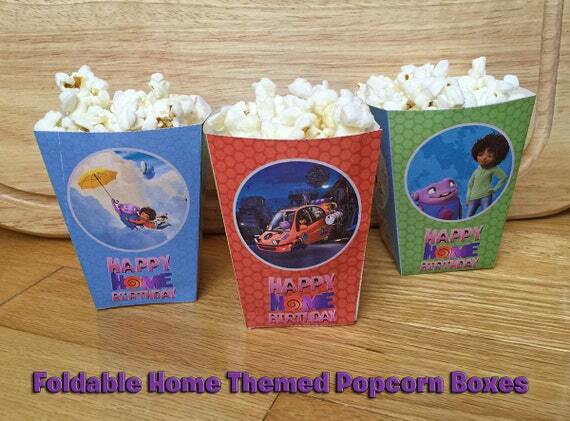 Home characters are perfect for a kid’s birthday party as they are colorful and fun. 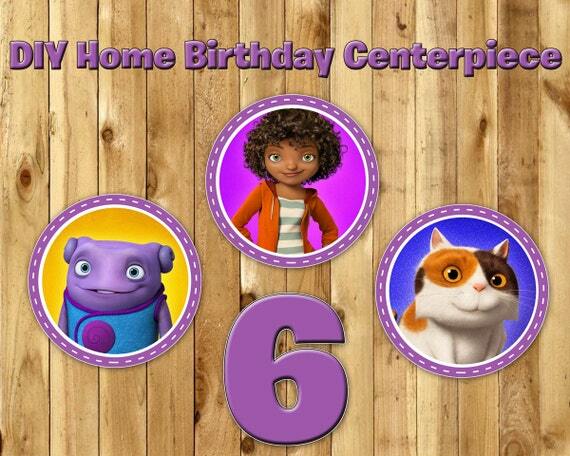 Check out these awesome printables from Instant Birthday! 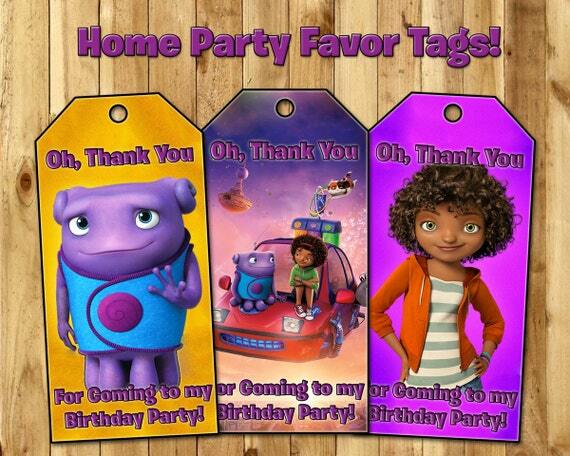 You can get all these items above for a huge discount if purchased as part of a party pack. 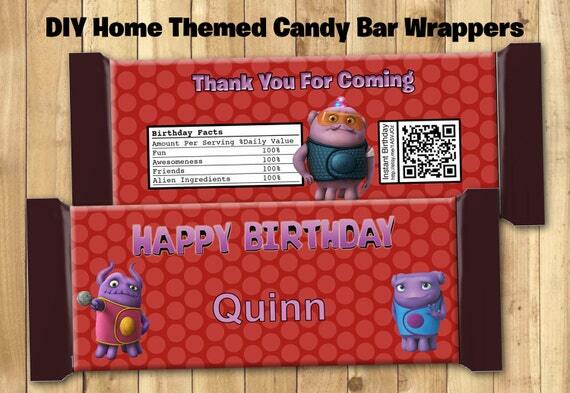 Instant Birthday shop owner Matt did a fantastic job on these printables and I know you will love any customized order for your child’s birthday also! Enter coupon code “CountingCandles” at checkout and you will get 10% off your whole purchase. 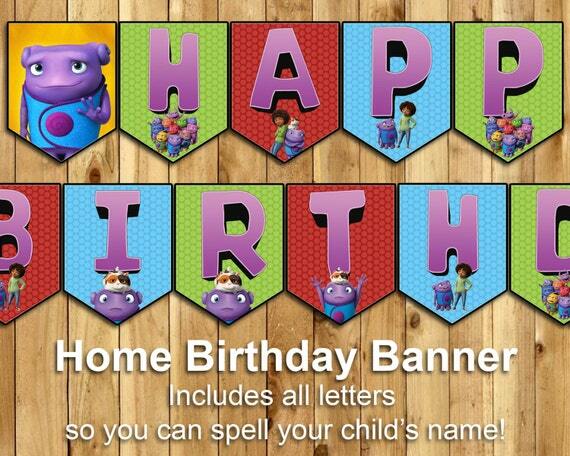 Make your party planning quick and simple with Instant Birthday downloadable printables!